Just as soon as I could figure it out." 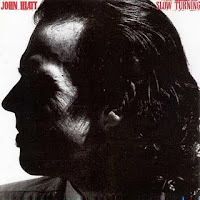 John Hiatt's ninth album..."Slow Turning" (1988)...is loaded with top to bottom diamonds. This warm-hearted troubadour is known for his clever songwriting...twisting phrases left of center...but always achingly dead-on. Whether singing rockers of road-trip freedoms...or casting shadows on hard-lessons learned. Sounds like a contradiction...but that's just John Hiatt. Lost Gem:--> "Paper Thin"...oh man...but ain't this a solid prime Hiatt rocker. Exhilarating poundage with a raucous 'Stones' vibe. the sky was getting light. And the sun came through the trees." 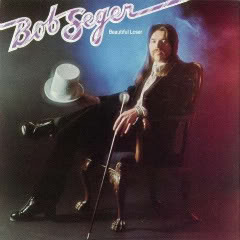 "Beautiful Loser" (1975)...was Bob Seger's eighth album and was just one year away from one of the best live albums of all time. "Live Bullet"...recorded in his hometown of Detroit...would, at last, put Bob on the road to stardom. But it was on his "Beautiful Loser" release where the seeds of Seger's songwriting skills began to really take shape. Bringing it from the heart...and from the heartland. Lost Gem:--> "Fine Memory"...is a gentle acoustic ballad. Beautiful in its simplicity. Heart-aching in its complexity. 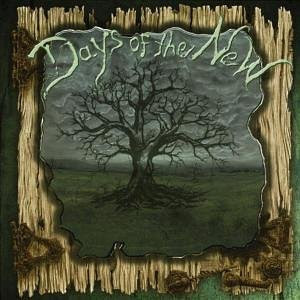 This was Days Of The New's 2nd album and is often referred to as...The Green Album. Led by Travis Meeks...this was mostly a new ensemble...with Meeks taking the band in an inspired and ambitious direction. Meeks' underrated release...taps into an almost acoustical heavy metal drift...mixed with occasional orchestrated backing...that dips the toe into the techno pool. It works. And it rewards the listener with repeated listens. Lost Gem:--> "Enemy"...opens with electro-drum beats that lead into an aggressive acoustic guitar battle...creating vibes of ominous warning. "Enemy"...is just one of several tracks on this forgotten puppy that deserve fresh ears to...'listen down'. I'm not the one who's tryin' to be Your enemy.